Following the introduction of the Nokia Lumia 635 at the BUILD 2014 event, three U.S. carriers quickly announced the upcoming availability of the device on their network this summer. AT&T, T-Mobile and MetroPCS will have the affordable Windows Phone 8.1 handsets on their networks. The Lumia 635 is an LTE enabled device which features a 4.5 inch touch display, 8GB of internal storage which can be expanded through microSD, a 5 megapixel rear camera and a quad-core Snapdragon 400 processor with 1GB of RAM. 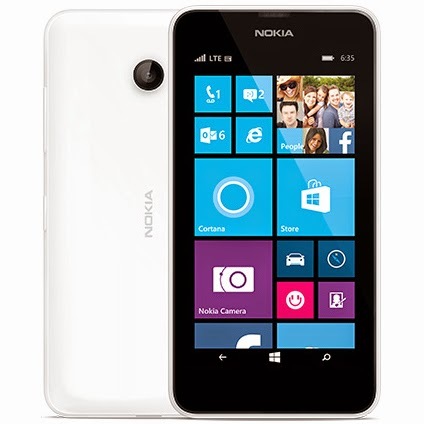 T-Mobile has high expectations for the phone, saying that it will be more popular than the Nokia Lumia 521. The Lumia 521 is a twin of the Nokia Lumia 520, which happens to be the most popular Windows Phone model to date. T-Mobile has also mentioned that the Lumia 635 will be the first handset to come with Windows Phone 8.1 out of the box. The Nokia Lumia 635 will be available in 5 colors, and offer changeable shells for those who like to customize their handset. The Nokia Lumia 635 will also be made available for customers of MetroPCS, the pre-paid carrier that is owned by T-Mobile. Pricing hasn't been disclosed for either carrier, although Nokia said that the phone would be priced at $189. AT&T, the nation's second largest carrier, announced that it too will be offering the Nokia Lumia 635. The mobile operator added that it was the first carrier to offer a Nokia branded Windows Phone model, that it was the first to offer a Windows Phone with LTE connectivity, and that it has the largest selection of Windows Phone models to choose from. Are you planning on getting the Nokia Lumia 635 with Windows Phone 8.1? Which carrier will you be picking yours up from?